Each year, on the last teacher workshop day, I would write a "goodbye" letter to my students, then post it on my website for them to read. I would reflect on the school year and share my thoughts and feelings with my students. It was therapeutic. I thought it was a good way to bring closure to nine months of working together. Plus, I wanted my students to know how much they meant to me and that I would miss them. So I would sit at my desk, at my computer, in my vacant classroom with my iced caramel latte and write to my students about highlights from the school year, things I learned, things I hoped they learned, wish them luck in the future and let them know that I would always be there to help them, if they needed it. I would get sad knowing they wouldn't be my students again and that even though they would stop by and keep in touch, it wouldn't be the same. The "goodbye" letter was also a good way to reflect on the school year and think about if my class was the experience I wanted for my students. Did I inspire anyone? Did I challenge anyone? Did my students have fun? Did they think and create and discover on a regular basis? Did they enjoy my class? Did I work hard enough on building relationships? Many questions I asked myself and nowhere in that list did I mention standardized test scores. 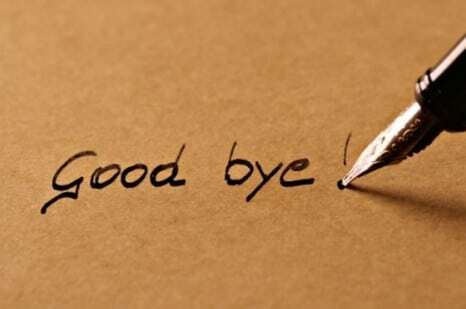 So, as the year ends, I would encourage you to write a 'goodbye' letter to your students. It would mean a lot to them.